Victor is a Statutory City located in Teller County, Colorado – 10,000 feet above sea level and southwest of Pikes Peak. Gold was discovered in Victor in the late 19th century. 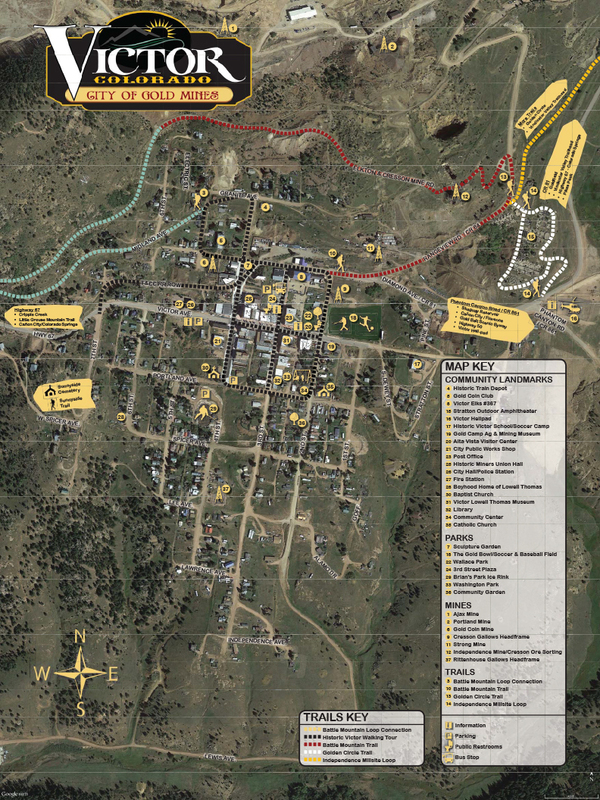 Victor, along with Cripple Creek, became the second largest gold mining district in the United States, realizing over $10 billion of mined gold (adjusted to current dollars). It reached the peak around the turn of the century when there were approximately 18,000 residents in the town. Depleted ore in mines, labor strife and the exodus of miners during WWI caused a steep decline in the city’s economy. The population of Victor was 397 at the 2010 census. There is a resumed mining effort on Battle Mountain and a growing tourism-based economy. Known as the City of Gold Mines, Victor is a well-preserved mining town in a unique setting of 1890’s structures and turn-of-the-century architecture. Victor experiences clean, cool mountain air and over 300 days of sunshine. EEO – Victor is an equal opportunity provider and employer. For persons with hearing impairments, please call RELAY Colorado at 711 or 1-800-659-2656 and request City of Victor at 719-689-2284.